So, I'm super excited to announce my new Fall 2011 Promotion. 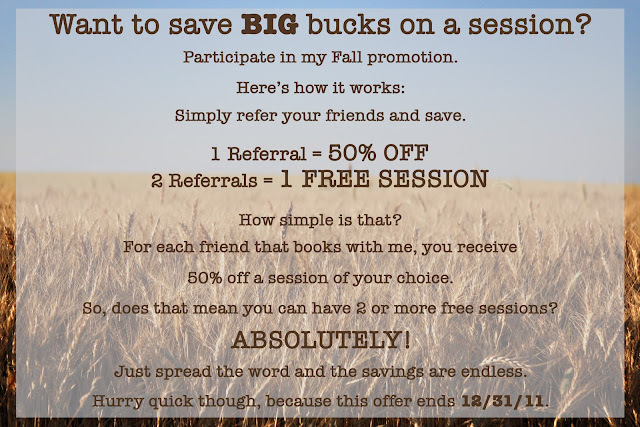 For each friend you refer to me (that actually books a session), you receive 50% OFF a session of your choice. 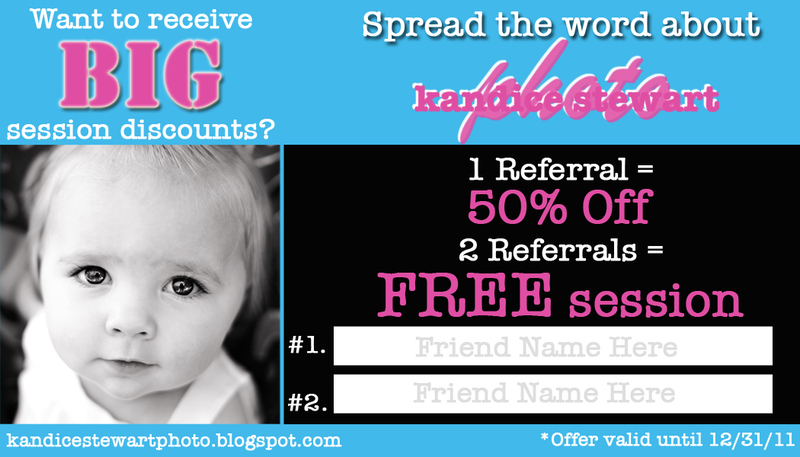 So yes, if you refer 4 friends to me, you can receive 2 free sessions... and so on, and so forth. This promotion is not limited to certain sessions. So no matter what kind of sessions your friends book, or what kind of session you want to cash in on... the offer stands. This offer ends December 31st, 2011. That means that your friends have to book a session by that date and NO LATER in order for you to cash in on the goods. So, the sooner they book, the better. Perhaps you can convince your friends to get pictures in time for Christmas cards - that way you can guarantee your rewards. However you decide to do it - you have 3 months.